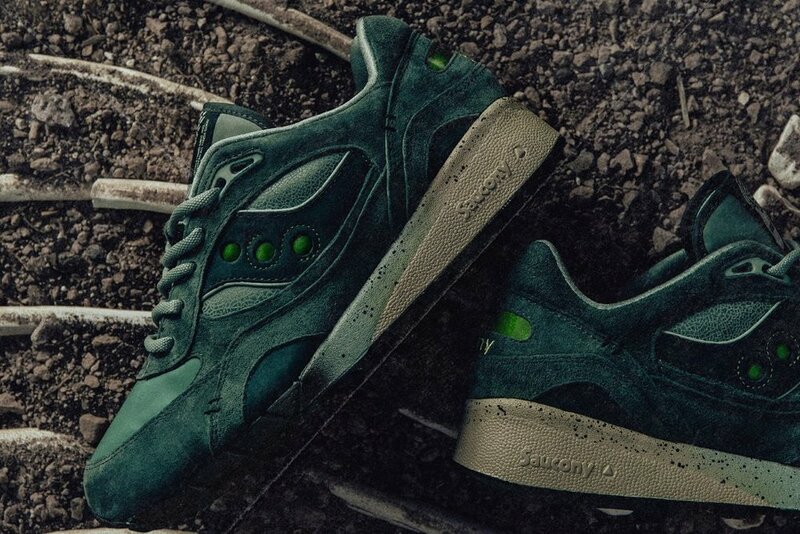 Inspired by the Ichthyosaur, Nevada's state fossil, and the colors it possessed during its existence - we bring to you our latest Saucony collaboration. Officially titled "Living Fossil", our newest footwear release is crafted on one of Saucony's most iconic silhouettes, the Shadow 6000. 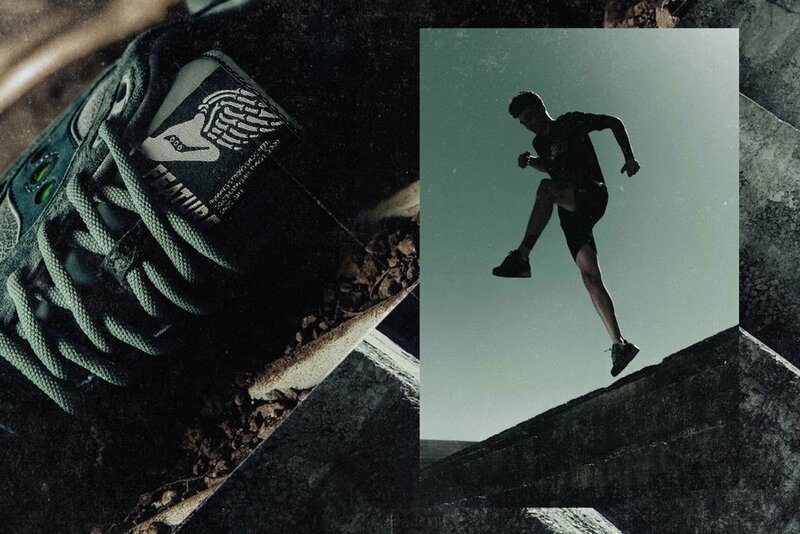 The sneaker is accompanied by a small apparel capsule including dual-branded shorts, tees and a cap - which will be available exclusively at Feature. Crafted with a luxurious finish in mind, the runner features a Beryl-colored suede and nubuck upper paired with water-resistant panels that help represent the water-based Ichthyosaur. Dark green holographic accents dress the traditional Saucony dots, as well as the heel window providing a shimmer when hit by light, while nylon details and a gradient speckled outsole add further detailing. 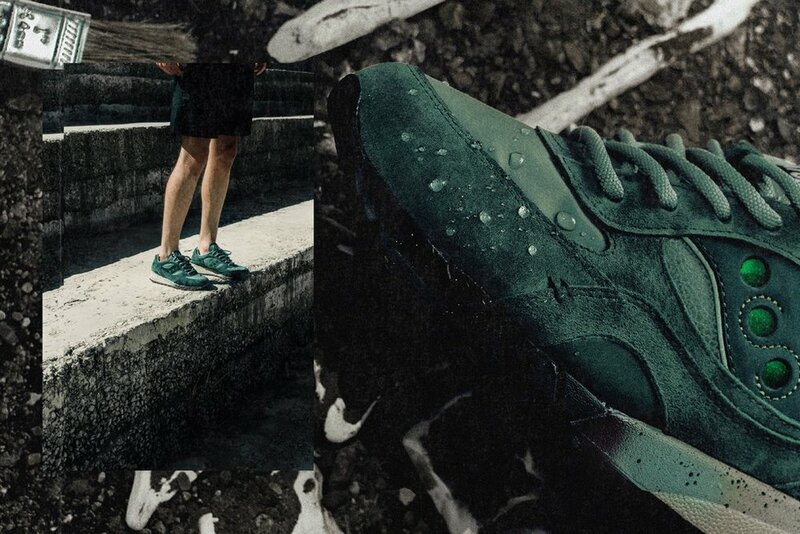 Additional elements include alternating colored medial and lateral panels surrounded by a cracked nubuck finish. Two oversized stitched details at the forefoot and heel, as well as a special fossilized Saucony Wings logo woven label complete the look. The sneakers will come with three lace options and a special pull-out box. Releasing June 22 at Feature.